Hatching eggs, youngstock and P.O.L when available. All eggs subject to availability as eggs sold elsewhere and most hatched. Best to email me as phone doesn't always get a signal and I will reply. A small selection of birds and fertile eggs for sale. Please phone to check availability and prices, thank you. We are a family run poultry breeding business which is situated in North Devon. We sell Traditional & Rare Breed Poultry and we also sell poultry equipment, feed and fresh Eggs in our shop. We have pol, fertile eggs, day old chicks available, telephone for availability or to order. All our birds run free in very large grass pens. The birds we sell are hatched and reared on site from our own breeding groups. We keep a closed flock (other than very rarely introducing a new cockerel, carefully sourced from a relaible breeder to add to the bloodline). We specialise in breeding quality point of lay hens on our smallholding in South Devon. Visitors are welcome but please always ring in advance to make an appointment. Here at Weeke Farm, we sell an exciting selection of Point of Lay hybrid hens. We also have a "one stop chicken shop" which has everything your happy hens will need, including Eglu Chicken houses and other Omlet products, Feed, Bedding, Feeders, Drinkers and Care Products. 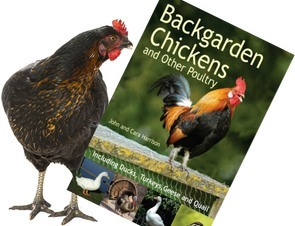 We would love to get you started if you are new to keeping chickens. Open all year round with plenty of hens for you to choose from, please call or email us to make an appointment to come and choose your hens. Outdoor reared on grass with lots of tlc. From day old to POL. Hatching eggs sometimes available. Ring to check on availability or to arrange a visit. We specialise in breeding quality day old chicks - point of lay chickens for back gardens and small holdings. We bred 45 different breeds varying from Hybrids(Brilliant Layers),Pure Breeds and Rare Breeds - availability may vary. We now offer the full poultry package - stocking food, bedding, accessories, health products and housing! With plenty of free advice. We are conveniently situated 2 minutes off the A38 at Ivybridge. Broomhill is a registered organic farm on the Devon/Cornwall border. Our hens are unrestricted free range. We supply very dark brown hatching eggs. Day-old turkeys or off-heat poults available in June and July. We have our own breeding flock of traditional Norfolk Black turkeys, kept free-range and to Soil Association organic standards. They will provide you, your friends and family and your customers with an exceptional Christmas meal! We breed Cream Legbars and have for sale chicks and pullets from day old through to point of lay. Specializing in all aspects of quail, from the hatching eggs, right through to day old chicks, growers, layer and breeders. Large and small orders welcome. Our birds roam around our herd of alpacas, we can also sell herd guards from our home bred group sometimes. We are a wholesale company specialising in POL hens for resale for the back garden customer. We have been breeding and rearing poultry on a commercial scale for 15 years. All our pullets are Comprehensively Vaccinated and Wormed prior to delivery. See our website to find the areas covered or a reseller near you. Thes are Point of Lay Pullets hatched and reared on our Smallholding. Can deliver locally. Fertile hatching eggs, occasional young stock, and hens that make good broodies. Please contact for further information.